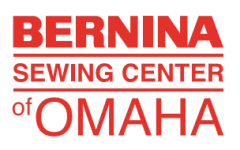 Join BERNINA Club for one class. Cost of this class can be applied against membership. No newsletter without membership. Be inspired and learn new things in Bernina Club. There will be 4 more lesson in 2019. Be inspired and learn new things in Bernina Club. There will be 5 more lesson in 2019. Be inspired and learn new things in Bernina Club. There will be 6 more lesson in 2019. Be inspired and learn new things in Bernina Club. There will be 1 lesson left for 2019. Be inspired and learn new things in Bernina Club. There will be 2 more lesson in 2019. Be inspired and learn new things in Bernina Club. There will be 3 more lesson in 2019. Be inspired and learn new things about DesignWorks. There will be 4 more lessons in 2019. Be inspired and learn new things about DesignWorks. There will be 2 more lesson in 2019. Be inspired and learn new things about DesignWorks. There will be 3 more lesson in 2019. Learn new embroider techniques with the Embroidery Club. This club meet six times a year, on the odd months. Membership is $30 for the year. Be inspired and learn new things in Embroidery Club. There will be 3 more lessons in 2019. Club is on even months. Be inspired and learn new things in Embroidery Club. There will be 1 more lessons in 2019. Club is on even months. Be inspired and learn new things in Embroidery Club. There will be 4 more lessons in 2019. Club is on even months. Be inspired and learn new things in Embroidery Club. There will be 2 more lessons in 2019. Club is on even months. Be inspired and learn new things about your BERNINA Software. There will be 4 more lessons in 2019. Be inspired and learn new things about your BERNINA Software. There will be 5 more lessons in 2019. Be inspired and learn new things about your BERNINA Software. There will be 6 more lessons in 2019. Be inspired and learn new things about your BERNINA Software. There will be 7 more lessons in 2019. Be inspired and learn new things about your BERNINA Software. There will be 2 more lessons in 2019. Be inspired and learn new things about your BERNINA Software. There will be 3 more lessons in 2019. We will be stitching out a tile scene. A time you can bring your own project, with your embroidery machine and get help to hoop correctly. 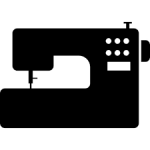 Master your BERNINA machine, class 1. This is for non-touch screen machines. Class is included with the price of your machine. If bought elsewhere cost is $35. Master your BERNINA machine, class 2. For non-touchscreen machines. Price is included in the cost of your machine. Cost is $35 if your machine is bought elsewhere. Master your BERNINA serger. Cost of class is included in the purchase of your machine. Cost is $35 if bought elsewhere. Introduction to software version 8.1. This is the first of three guide classes. Cost is included in the purchase of the software. If bought elsewhere cost is $50 per session. Bring laptop, mouse/mouse pad, even if a touch screen laptop. Class 1 - Calibrating your screen, Reference Manual, Reference Files, Lettering Baselines, Editing Overview, Monograming and Mirror Merge Tools. Private quilting class. Cost is $20 per hour with a 2 hour minimum. Call the store to check on availability. Unmarked Free Motion Quilting....Robbi Joy Eklow is a local art quilt maker and free motion quilt teacher. She will be teaching "Unmarked Free Motion Quilting" . This class is geared for beginners and intermediate quilters. Do you have a quilting project from one of Cindy's classes that you need more time to finish, then this is your class. Work on a different block each month. Original design. Cost is $12 per session and must sign up for the entire year. Classes start in Jan. and run through Dec. This class is usually the second Saturday of the month at 9:30 am. Work on a different block each month. Original design. Cost is $12 per session and must sign up for the entire year. Classes start in Jan. and run through Dec. This class usually the second Saturday of the month at 1:30pm. Work on a different block each month. Original design. Cost is $12 per session and must sign up for the entire year. Classes start in Jan. and run through Dec. This class is for a Tuesday at 9:30am. Work on a different block each month. Original design. Cost is $12 per session and must sign up for the entire year. Classes start in Jan. and run through Dec. This class is for a Thursday at 9:30am. Work on a different block each month. Original design. Cost is $12 per session and must sign up for the entire year. Classes start in Jan. and run through Dec. This class meets on Wednesdays at 6pm. We will be making the apron from the book "School of Sewing"
This rug is made using a full jelly roll and Bosal batting or you can cut your own batting and join the strips together at the short end. It is a two part class. We've added an evening class. Stella is a very easy EPP quilt. The pieces are large, so it goes together quickly! We will be making the quilt over a 10 month period making about 2 blocks each month. You can choose an alternate setting. Cashmerette Montrose Top - top made in a woven fabric. We will be making View A with the back yoke. Please purchase a fabric that is woven, not knit, that has good drape. Cashmerette Montrose Top pattern modified to make a Tunic. Cashmerette Montrose Top - top made in a lace. We will be making View B. Work on the project of your choice during this 3 hour class. Stella quilt class offered in the evenings beginning in May. DesignWorks club ten month's of inspiration expanding your knowledge of the Designworks software for projects that include Cutwork, Paintwork and Crystal work tools. Software Club's ten months of inspiration & expanding your knowledge of the Embroidery Software Version 8 for projects.